This image shows the first measurements of the thermal Sunyaev-Zel’dovich effect from the Atacama Large Millimeter/submillimeter Array (ALMA) in Chile (in blue). Astronomers combined data from ALMA’s 7- and 12-metre antennas to produce the sharpest possible image. 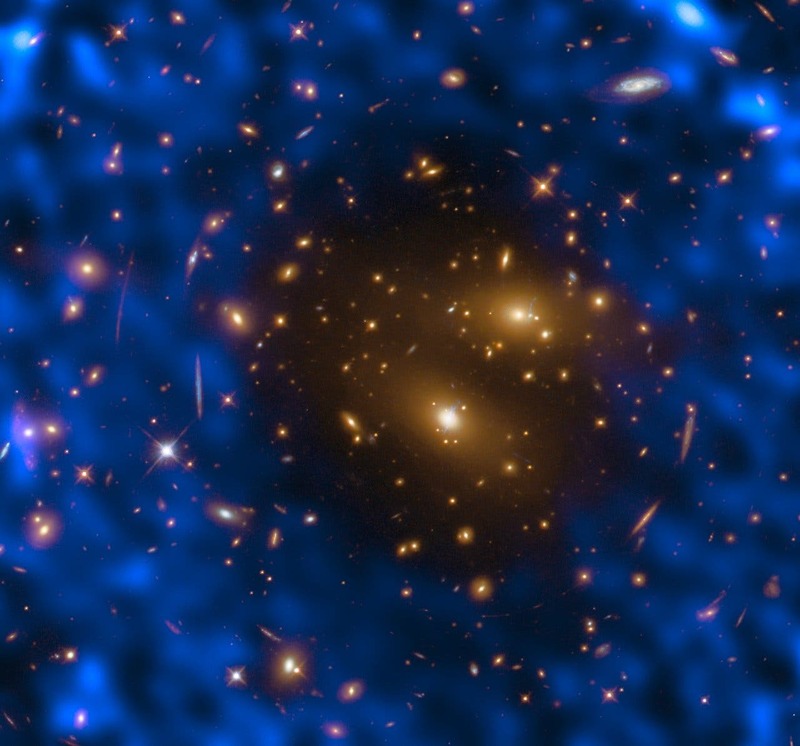 The target was one of the most massive known galaxy clusters, RX J1347.5–1145, the centre of which shows up here in the dark “hole” in the ALMA observations. The energy distribution of the CMB photons shifts and appears as a temperature decrease at the wavelength observed by ALMA, hence a dark patch is observed in this image at the location of the cluster.